The Philadelphia Temple, which will be officially dedicated on Sept. 18. 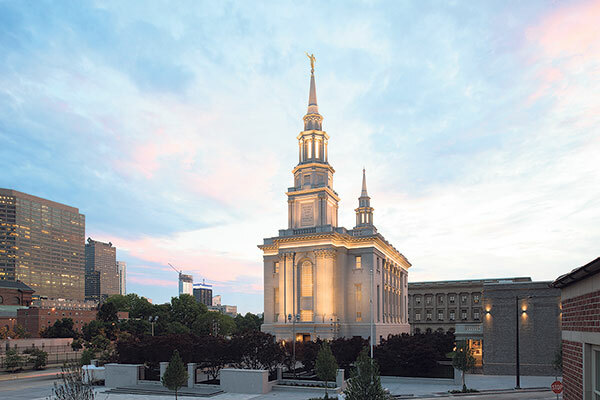 In the interest of forming closer relations with New Jersey’s Mormon community, two leaders of the state region of American Jewish Committee joined church officials in a tour of their newly completed temple in downtown Philadelphia. The visit was a rare opportunity for nonmembers to step inside a Mormon house of worship. 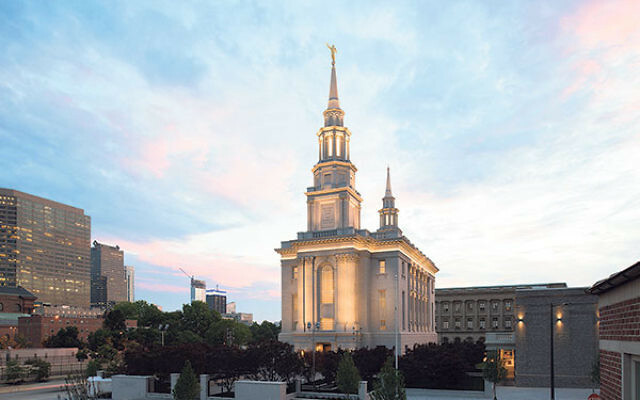 Once the temple is officially consecrated on Sunday, Sept. 18, only members of the Church of Jesus Christ of Latter-day Saints — the official name of the Mormon religion — will be permitted to enter. In a July 27 phone interview on the day after NJ Jewish News joined Rosen and AJC senior associate Alyssa Kevelson in touring the temple, the director said he considers the Mormon community to be “very influential.” It has “an influence in this country that is disproportionate to their membership, much like the Jewish community. We want to inspire religious freedom and make sure religious minorities are protected, so we can advocate together. We also have a common interest in the welfare of Israel,” he said. “That is an area of partnership. The Mormons are also looking to other religious groups to strengthen their own voice. As faith communities there is a lot we can advocate on together,” he said. There are negative depictions of the Jews in the Book of Mormon, the church’s Holy Scripture, which are based on writings that date back to 2200 BCE. Some are found in the chapters of Nephi, a Mormon prophet. • “…the Jews, among those who are the more wicked part of the world; and they shall crucify him — for thus it behooveth our God, and there is none other nation on earth that would crucify their God. “Mormons understand themselves as part of the Christian tradition that predates Christian post-Holocaust self-reflection, and it is not surprising that their sacred text includes some anti-Jewish tropes, particularly related to the death of Jesus,” wrote Rabbi Noam Marans, director of AJC’s Interreligious and Intergroup Relations, in a July 27 e-mail to NJJN. “Our experience with Mormons indicates that they accentuate the philo-Semitic within their tradition and strive mightily and successfully to be in positive relations with the Jewish people,” Marans wrote. Insisting that the two groups “are not going to be talking about theology,” Rosen said he plans to discuss with other AJC lay leaders in the near future possible meetings with NJ Mormons before holding any open meetings.